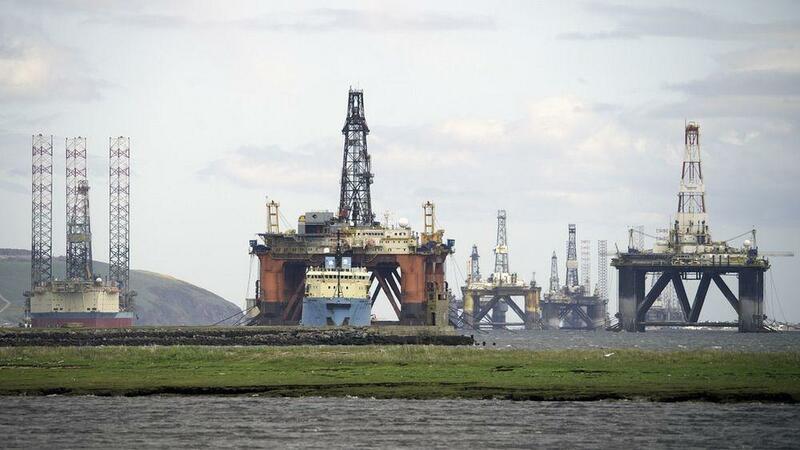 [caption id="attachment_10772" align="aligncenter" width="1000"] Cromarty firth oil rigs[/caption] The latest news from Cromarty Firth provides more insight into the challenge at hand. To recap, the Cromarty Firth Port Authority in the Moray Firth in Scotland, has a bonkers plan to license themselves, which they are in the final analysis able to do, to develop ship to ship crude oil transfers in the pristine and environmentally unique Moray Firth. These poltroons, for that they surely are, who are Trustees (note their title) have decided that in excess of 103,000 signatures of objection, fierce opposition from the local leisure and tourist industry, the Church of Scotland and other marine based organisations are not worthy of note. They have stated that in a local populace of less than 10,000, the presentation of the 103,000 signatures is without validation. How arrogant are they to dismiss the concerns of the thousands of visitors and environmentalists who love the Moray Firth for the very fact of its great beauty and unique wildlife? The Trustees are able to do this in the face of the Moray Firth being designated by the EU as of international environmental importance, while at the same time it was EU directives which permitted the Trusts to operate in this manner in the first place. The Firth is almost entirely under one form or another of environmental protective instrument. In the final analysis, it transpires the Secretary of State has zero powers to control a Trust port on day-by-day decisions. There is a margin for intervention on port fees/wharf charges etc. and that’s it. How feeble and facile and frankly fragile. As the demagogues frequently opine ‘not fit for purpose’. Ungainly words but to the point. European Protected Species (EPS) Licensing and Scottish Natural Heritage (SNH) will set requirements to be met on behalf of the Scottish Government. The port will/can respond stating they meet all the requirements, and after several inevitable challenges and iterations, the final decision for the port authority to decide, NOT MINISTERS. Here I start to giggle as it becomes more laughable as we proceed and all good jokes need a lead up. If the port decides to continue without a licence and give strong assurances they will not harm any marine species, then the port authority is the self-proclaiming authority. This is quite extraordinary, and sheds light on the alleged chicanery of Bob Buskie to get his and his cronies trotters and snouts in what should be an impregnable trough. Who made up this swill (geddit?)? Hint, they wear grey suits and work in a grey city in grey towers! Companies House has a string of shelf companies set up with the officers and Trustees of the CPFA as shareholders. Might this have anything to do with the price of 2p per tonne pumped going to the CFPA but the remaining costs such as wharfage, tug boats, bunkering etc. going to the private pockets involved in this scam? Based on the Sumburgh model, the cost of pumping is around 45p. Follow the money. The risk for CFPA in making this decision (not to require a licence) is if they are wrong, they are open to criminal prosecution for harming a protected species, the resident bottlenose dolphins. That is of course after the event, if there is evidence and if proven, by which time it is too late and all the matrices of companies behind companies will result in no one being held accountable. In the end bankruptcy is filed and the rotters walk away. Seriously, will Bob Buskie remain in the area to face the lynching…sorry, music? Ha-ha! Excuse me while I wipe away a tear of laughter. The tax payer will be left to pick up the pieces and an exquisite natural marvel left destroyed. The legal situation is that the Maritime and Coastguard Agency (MCA) will need to be convinced all the application boxes are ticked, that is their duty, and if they find this to be the case then they will award. The MCA has no role in EPS licence award - in legal terms it is a separate matter. If the Cromarty Firth port authority convince the MCA they meet all the requirements for licence award, they will get a Ship to Ship licence. If the MCA are a strong-headed (and ignoring 100,000+ people is a risk) then they may well chance their arm and proceed using the authority they hold to suggest a licence be refused. Strangely, it may not be about lawyers and studies; in the end, it may be about the integrity of the port. The words Trustee and integrity in this instance are mutual exclusive for sure. Risible and yet more risible. The 2015 report by the MCA on CFPA's application describes a catalogue of abject failure on the part of the CFPA. In their now obvious high–handed manner, Buskie and co. probably assumed it was their right to be granted such permission. It is doubtful the CFPA have done any further meaningful work in this regard. Remember they took a spill plan using the minimum industry norm of 300,00 tonnes released and said their spill plan based on 1 tonne was adequate. Who do they think they are kidding? The MCA are in the end toothless. The Cromarty Firth Port Authority can read the MCA comments and indulge in wordsmithery without oversight to conjure mealy-mouthed replies. Thus is the way of the world these days. It is astonishing the party who profit from the activity can be self-assuring. It seems the Scottish government are sloping shoulders, although when the pips squeaked so loudly when such a plan was mooted for the Firth of Forth, they soon lumbered in to action and dismissed the very thought of it! Oh how sweet to be in Morningside when Morningside is here! It comes down to the integrity of the port authority. Side-splitting! Given the nature and behaviour hitherto shown by the CFPA, they are a reprehensible bunch of recreant dastards (that is not a spelling mistake) with only a mind for their pockets, hiding behind their criminal behaviour with well-placed bungery and untoward pressure being applied to those they wish to remove from traditionally servicing the port. The officers of the CFPA and their antics are manifestly transparent, thus their refusal to brook any opposition to their knavish tricks and their refusal to engage with the opposition. They know they have been found out. This seemingly local farrago, along with all the other corporate hegemony around the world is another example of how this marvellous miracle of creation that is the Earth is run by corporations for the benefit of corporations, using all the apparatus available to them to get what they want - Police, the Military, financial systems, the Law and governments which we foolishly support in a ridiculous partisan manner. 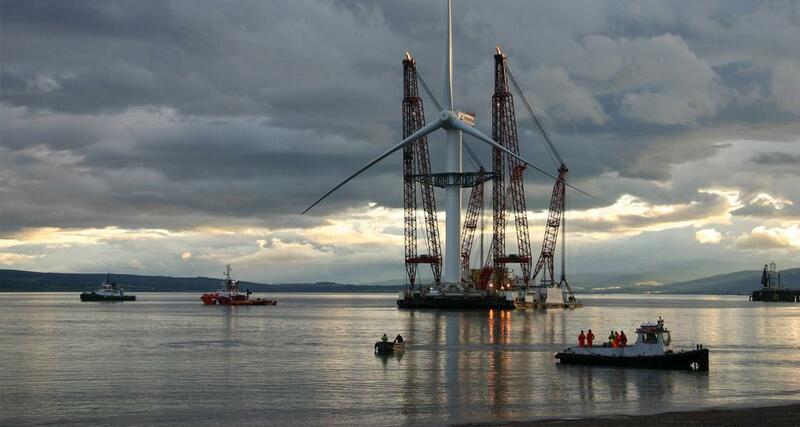 [caption id="attachment_10773" align="aligncenter" width="1030"] A wind turbine in Cromarty Firth - zero pollution risk[/caption] At the time of rapidly emerging clean technology it is insanity to be risking the UK's only resident pod of dolphins and the remarkable habitat they inhabit for an unnecessary out of date, dirty energy project, which in the event of an ‘accident’ will devastate the area for generations. The story of the Cromarty Firth Ship to Ship Licence is now getting international attention with support coming from Australia, South America, Canada and the United States, particularly with indigenous groups who have a great understanding of what it is like to stand up to such ill-advised schemes. The matter has been raised with interested parties at the UN and particularly in the UK Parliament following the publication of Blue Belt by the Conservatives. Would that the licence application avoids the necessity for the Standing Rock example of successful resistance however, the support is there, the willing to stand up and be counted is there, and how heartening to know thousands may line the Firth beaches and take to boats to ensure this idiocy fails. Will leaders in the UK and international environmental pressure groups please do the right thing and block ship-to-ship transfers in the Moray Firth. Please show your support and sign the petition, write to the local MSPs and MPs and to Nicola Sturgeon. You can sit down and talk to the Cromarty Firth Port Authority, and persuade them to stop this.